Asheville Goombay Festival – this weekend, Sept. 11 -12. I recently had the honor of meeting Lady Gloria Free, the founder of Goombay, and I wrote about her history in Asheville with the YMI and Goombay: Click here to read about her story. 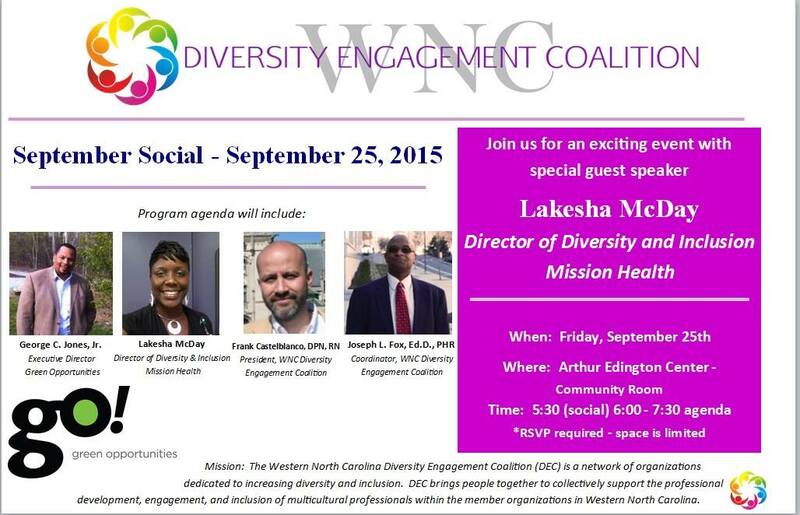 Minority Enterprise Development Week – next week, Sept. 15 – 17. Free classes for entrepreneurs – please share the schedule. Awards Event on Thursday, Sept. 17 at 6 pm at Homewood – come out! Previous Previous post: What’s Up With Asheville?